Cash reward from Crime Stoppers – Fentanyl priority. 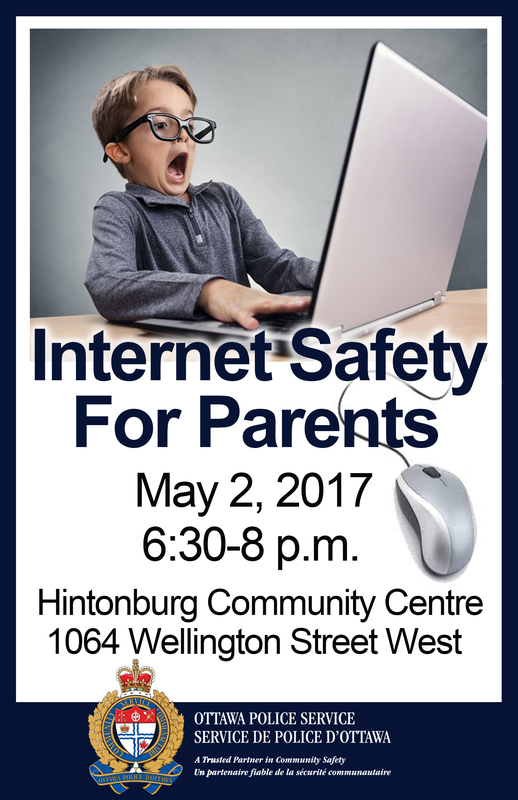 Upcoming internet safety event – May 2 session for parents, also see attached poster and message. Overdose prevented – During car stop. Trafficking in stolen vehicles – Good paperwork forgery, also see tips on buying safely. Statement from Chief Charles Bordeleau – SIU charges related to Abdi’s death. There is also a note about a session on Internet safety for Parents on May 2. Attached is the Neighbourhood Watch Bulletin for March 13, 2017. Please feel free to pass it along to anyone who might be interested in receiving it. Any comments, information or requests to be added to or deleted from the list may be sent to wellingtoncpc@gmail.com. If you would like to contact Cst. Dawn Neilly directly, please use neillyd@ottawapolice.ca. I am sending out this poster to let you all know that May 2 myself and Cst Lemieux will be hosting a presentation for parents on Internet Safety. It will be held at the Hintonburg Community Centre in the wellington room from 6:30 – 8pm. Please pass it around and share with those you think will be interested. I will send out a reminder closer to the date.